Alarmingly, tensions between the United States and North Korea have again reached crisis proportions. The United States wants North Korea to curtail any further development of its nuclear weapons program, as well as to stop testing its missiles. North Korea evidently seeks to bolster its security by acquiring a sufficiently robust deterrent capability to discourage an attack by the United States. The unpredictable leaders of both countries are pursuing extremely provocative and destabilizing patterns of behavior. Where such a dangerous interaction leads no one can now foresee. The risk of this tense situation spiraling out of control should not be minimized. It is urgent that all governments concerned make a sober reassessment in a timely manner. The following questions need to be addressed: What can be done to defuse this escalating crisis? What should be done to prevent further crises in the future? What could be learned from recurrent crises involving nuclear weapons states? It is discouraging that the White House continues to rely mainly on threat diplomacy. 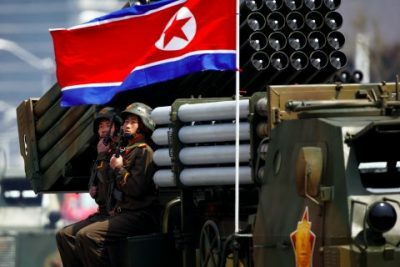 It has not worked in responding to North Korea’s nuclear ambitions for the past few decades, and it is crucial to try a different approach. Currently, there are mixed signals that such a shift may be underway. President Trump has turned to China, imploring that it use its leverage to induce Kim Jong-un to back down, and has even mentioned the possibility of inviting Kim for crisis-resolving talks. Also relevant and hopeful is the election of Moon Jae-in as the new president of South Korea, and his insistent calls for improved relations with the North. In the end, no reasonable person would opt for another war on the Korean Peninsula. The only rational alternative is diplomacy. But what kind of diplomacy? American reliance on threat and punitive diplomacy has never succeeded in the past and is almost certain to fail now. We assuredly need diplomacy, but of a different character. It is time to abandon coercive diplomacy and develop an approach that can be described as restorative diplomacy. Coercive diplomacy relies on a zero/sum calculus consisting of military threats, sanctions, and a variety of punitive measures. Restorative diplomacy adopts a win/win approach that seeks to find mutual benefits for both sides, restructuring the relationship so as to provide security for the weaker side and stability for the stronger side. The challenge to the political imagination is to find the concrete formula for translating this abstract goal into viable policy options. The basic shift is a mental recognition that in the context of the Korean Peninsula any military encounter, whether nuclear or non-nuclear, is a recipe for catastrophe. It is not a win or lose situation. It is lose/lose in terms of human suffering, devastation, and likely political outcome. If nuclear weapons are used by either or both sides, millions of casualties could occur and the wider consequences an unprecedented disaster. While there have been suggestions from the Trump administration that the time for talk with North Korea is over, actually the opposite is true. 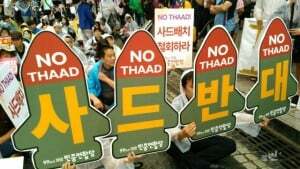 A solution to the present Korean crisis would involve an immediate return to the negotiating table with positive inducements made by the U.S. in exchange for North Korea halting its development of nuclear weapons and missile testing. Such incentives could include, first and foremost, bilateral and regional security guarantees to the North Korean government, ensuring that the country would not be attacked and its sovereignty respected. This could be coupled with confidence-building measures. The U.S. and South Korea should halt their joint annual military exercises in the vicinity of North Korea, as well as forego provocative weapons deployments. In addition, the U.S. and possibly Japan could offer North Korea additional benefits: food, medicine, and clean energy technology. China could play a positive role by hosting the negotiations, including possibly inviting the new leader of South Korea to participate. Beyond resolving the current crisis is the deeper challenge to prevent recurrent crises that pit nuclear weapons states against one another. There is no way to achieve this result so long as some countries retain, develop, and deploy nuclear weapons, and other countries are prohibited from acquiring such weaponry even if their security is under threat. Iraq and Libya arguably suffered from the consequences of not having nuclear weapons to deter attacks against them. The only way out of this trap is to recognize that the nuclear nonproliferation regime has failed. The treaty provisions calling for nuclear as well as general and complete disarmament negotiations have been neglected for nearly a half century. Outside the terms of the Nuclear Non-Proliferation Treaty, the United States has acted as an enforcer of a nuclear nonproliferation regime. Such a role motivated the U.S. attack on Iraq in 2003 with its disastrous impacts on the country and the entire Middle East. It also underlies the current crisis pitting Washington’s demands against Pyongyang’s provocations. Hard power approaches to such dangerous developments have a dismal record, and pose unacceptable risks of regional and global havoc. To prohibit and eliminate nuclear weapons epitomizes prudence in the Nuclear Age. It is the only way to prevent a crisis between nuclear-armed opponents turning into a nuclear catastrophe. Such behavior would constitute an act of sanity for humanity and its future given the extreme dangers of nuclear weapons, the periodic crises that erupt among nuclear-armed countries, and the growing odds of nuclear weapons being used at some point. Yet for smaller, weaker nuclear weapons states to go along with this approach, the United Nations Charter and international law must be respected to the point that regime-changing geopolitical interventions by dominant states are convincingly rejected as a reasonable policy option. Any use of nuclear weapons would be catastrophic.. Depending upon the extent of the nuclear exchange, cities, countries, civilization, and even all complex life, including the human species, would be at risk. Experts anticipate that a nuclear war between India and Pakistan in which 100 Hiroshima-size nuclear weapons were used against cities would likely cause a nuclear famine taking two billion lives globally. An all-out nuclear war could be an extinction event for complex life, including humanity. Nine countries currently possess nuclear weapons (United States, Russia, United Kingdom, France, China, Israel, India, Pakistan and North Korea). Nine leaders could initiate nuclear war by mistake, miscalculation or malice. The future rests precariously in the hands of this small number of individuals. Such an unprecedented concentration of power and authority undermines democracy, as well as being extremely reckless.and irresponsible. It is essential to maintain our focus on the challenges posed by the development of North Korean nuclear capabilities. At the same time, while struggling to defuse this crisis hanging over the Korean Peninsula, we should not lose sight of its connection with the questionable wider structure of reliance on nuclear weapons by the other eight nuclear-armed countries. Until this structure of nuclearism is itself overcome, crises will almost certainly continue to occur in the future. It is foolhardy to suppose that nuclear catastrophes can be indefinitely averted without addressing these deeper challenges that have existed ever since the original atomic attack on Hiroshima. Richard Falk is Senior Vice President, Nuclear Age Peace Foundation, and Albert G. Milbank Professor of International Law Emeritus, Princeton University. David Krieger is President, Nuclear Age Peace Foundation.